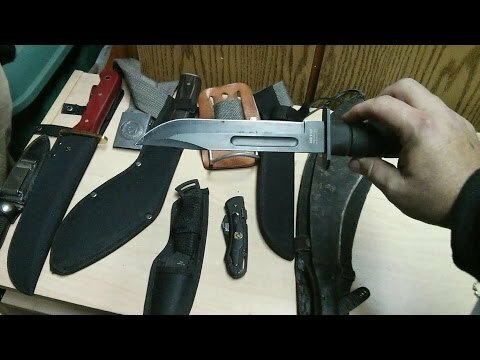 Whats on table Bug out Bag # 5 Mtech K-bar, for gear on a budget you can not beat this sturdy well made blade, except by the original K-bar. Priced at $45 ish dollars this Mtech K-bar lookalike is worth every penny and then some. 3 years of hard use in the bush, around camps, job sites and daily every day use this blade this tool has held up remarkably well. Hardly any marks on this and the quality of the steel almost fully A grade (K-bar would be A Grade) so this is B+. For those on a budget the Mtech's are holding their own, designed in the USA though made in China they are still excellent tool and blades for folks on a budget or for those who like decent quality for many back up bags and systems. Well Done Mtech, well done!